Wedgies and Boogers and Diapers--oh my! It's The SECOND Captain Underpants Collection, featuring the three newest CU adventures along with The Adventures of Super Diaper Baby plus a free poster! Join George Beard, Harold Hutchins, and the amazing Captain Underpants on three of their most incredible adventures yet! 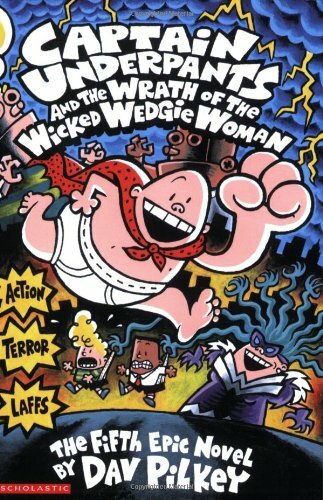 Watch them wrestle the Wicked Wedgie Woman. . . . Beware as they battle the Bionic Booger Boy. . . . Rejoice as they resist the Ridiculous Robo-Boogers. . . . And when you're done with all that, don't miss the very first graphic novel that George and Harold have written themselves: The Adventures of Super Diaper Baby. For extra fun, check out the groovy glow-in-the-dark poster inside!